I have been working on a post about veggie rennet – that extracted from the species Cynara cardunculus, mainly – and its specific milk curdling enzymes, cardosins A and B… however, it proved to be very difficult to find information about where the enzymes break the kappa-casein – if that is even how the situation works. I have a lot of cultural information, but am lacking in scientific information. So, I will postpone that particular blog and in the mean time, put together a cultural blog of my own of my trip to Colorado this past April. Enjoy! My sister, brother-in-law, and niece were all very kind to oblige to go on a tour of the cheesemaking facilities of Haystack Mountain Goat Dairy in Longmont, Colorado. 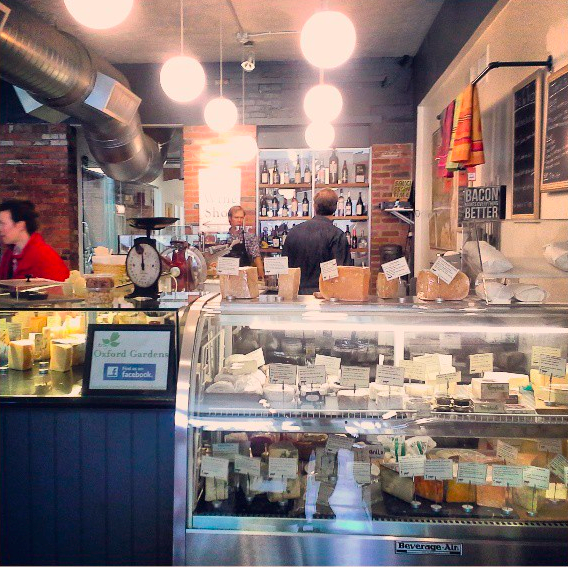 We carry a couple of their cheeses in the shop – Sunlight and Queso di Mano. 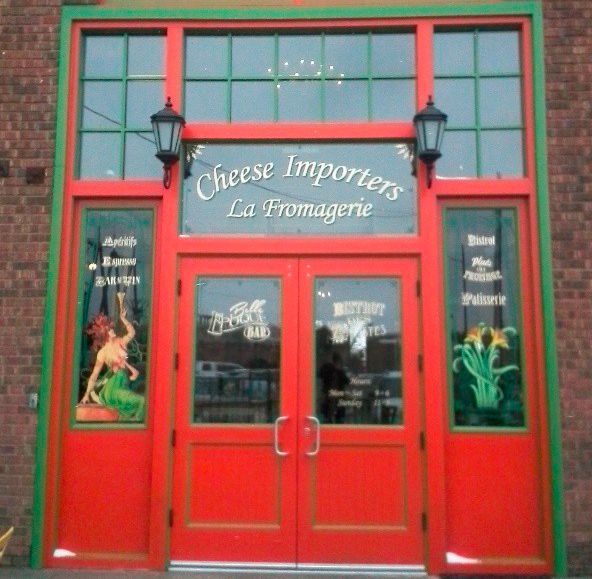 I had to go and visit to meet the creators of these delicious cheeses and find out what more they had to offer. John, our tour guide was wonderfully knowledgeable and extremely friendly – and a native New Yorker! Here is a worker draining the cheesemaking vat. Milk is trucked in from a nearby goat farm and is curdled and cut in the large, rectangular stainless-steel vats. 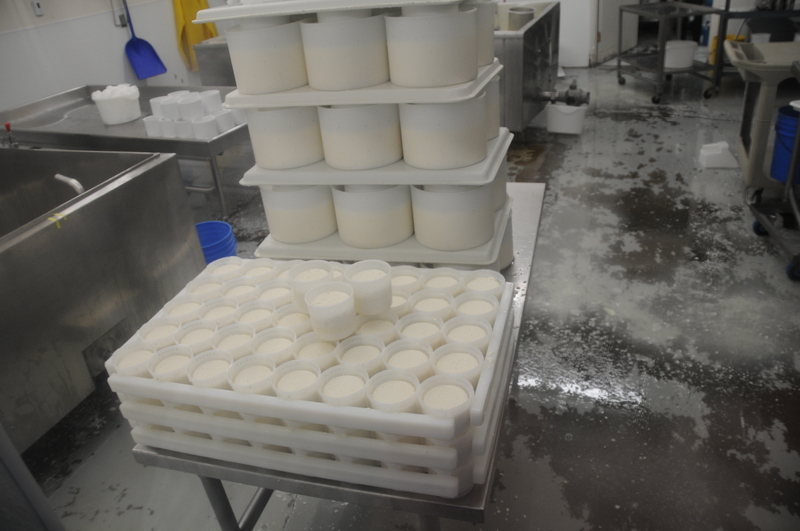 After the curds are placed into the hoops, molds, or forms (the plastic containers that give the cheese its shape), a faucet at the bottom of the vat is opened and the whey is taken to a large plastic container outside. Sunlight is a 6-pound washed rind cheese, a 2008 American Cheese Society and World Cheese Award winner, it’s recipe is taken from it’s smaller predecessor, Red Cloud which won awards at the American Cheese Society in 2007, 2008, 2009, 2010, 2012, and the World Cheese Awards in 2008. 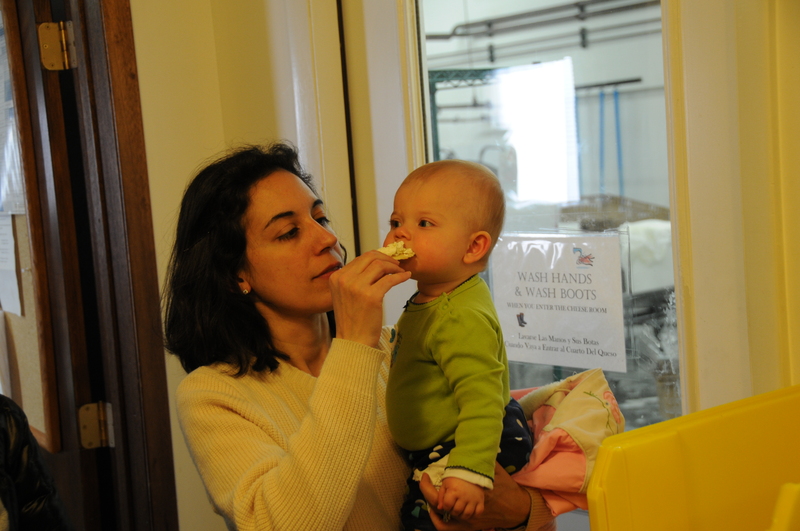 My sister and niece enjoying the cheese tasting at the end of the tour. The cheesemakers graciously allowed us to have our cheese tasting in their lunch room/ kitchen. I supported Haystack Mountain by purchasing a lot of cheeses that we don’t carry at the shop and bringing them back to share with my fellow cheesemongers. Everyone had a different favorite! The most fun was that John allowed me to purchase their alpine-style cheese, Wall-Street Gold although the milk type was unknown. He did, however, track down Jackie, the cheesemaker, to find out what the type was – but to give the cheesemongers a little taste challenge, he wrote it down on a card in a sealed envelope. John, everyone guessed right! 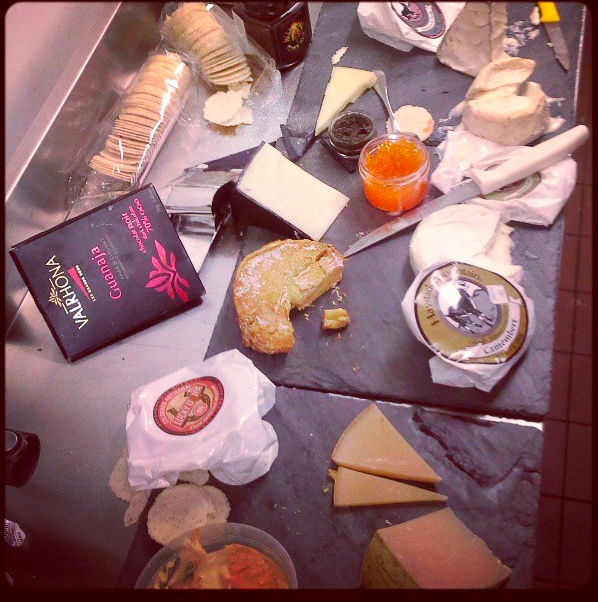 Haystack Mountain spread at work – Top to Bottom: Mountain Peak, Snowdrop, Camembert, Lucky U IPA washed rind cheese, and mystery milk Wall Street Gold. I picked up a couple cheeses that I hadn’t tried before and a few issues of Cheese Connoisseur for some light reading on the flight home. My report wouldn’t be complete without mentioned Cured – a great little shop in downtown Boulder, CO.
Cured is a beautiful space that sells domestic and foreign cheeses, high quality salami, pickles, and chocolates, as well as wine with a coffee shop inside of the space and tables and booths shared by both. My niece and I shared a Chiriboga blue but I had purchased a Green Hill – a double cream camembert style cheese – from Sweet Grass Dairy – a wonderful dairy in southern Georgia really making a name for itself with its delightful cheeses! After days of collecting cheeses, there was only one thing to do, but eat them! A couple bottles of wine, fruits, chocolates, and homemade baby food doubling as some jam later… and once the baby was put to sleep, we had ourselves a casual pairing party. From Southern Georgia to Colorado, artisinal cheese is happening everywhere. 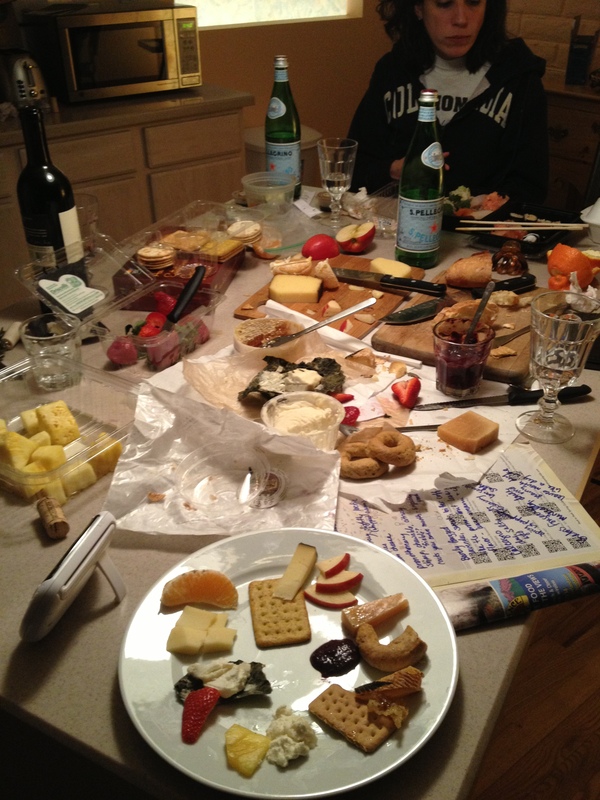 I am so glad I got a chance to do two of my favorite things in one week – spending time with my family and eating cheese!